This book gives students an informed insight into the British experience in the First World War. The contributors, all established First World War historians, have drawn on their own research and secondary sources to give a succinct account of politics, diplomacy, strategy and social developments during a period of dramatic change. Each chapter gives a concise account of its subject and the chapters are well supported by maps and tables. 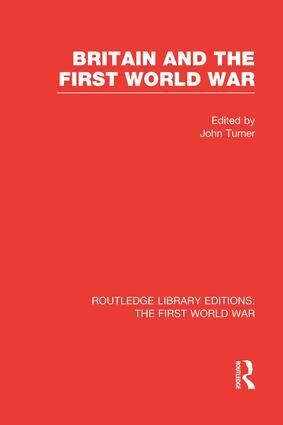 This is an important textbook for school students and undergraduates which bridges the gap between specialized research on the First World War and the needs of the student reader.